Rosina and I had enjoyed a number of holidays in America and were keen to see more. We wanted to see the real America, getting away from the tourist hot spots whenever possible. We concluded that the best way to do that was to have our accomodation with us wherever we were, hence our introduction to motorhoming. Research and planning for that adventure began in 2005. In 2008 at the age of 58 I took a very belated 'gap year' from working life and Rosina and I undertook two 90-day trips in our American motorhome which we had flown out to Texas and purchased in July 2007. A year before my retirement at age 65 we purchased our current European motorhome, 'Freddie Fendt' as his first owners called him. 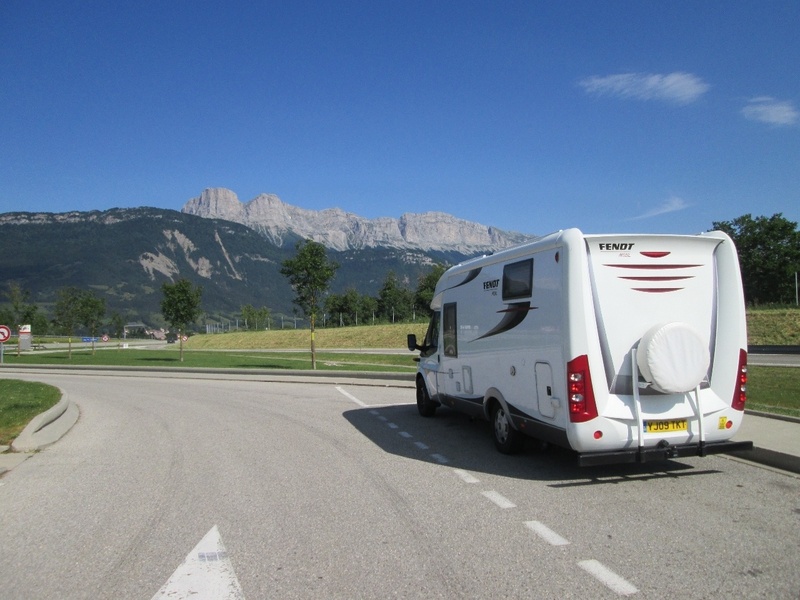 The purpose of this website is to share our experiences, and provide a source of information for others contemplating similar trips whilst trying to give a feel for the motorhome lifestyle. Some of the entries are long-winded, but look on the postive side - it's cheaper than buying a book. We are aware that not everyone is as fortunate as ourselves; currently we enjoy good health and are able to rob the piggy-bank to fund such trips. Many folk may dream of undertaking such adventures themselves, but are unable to, perhaps because of health, wealth, or personal circumstances. To those folk we say ‘Use your imagination and come along with Rosina and I as our guest.